Some Verizon and T-Mobile device owners will be pleased to hear that Ice Cream Sandwich may be making its way to their subsidized smartphone or tablet. Please bear in mind these are rumors and haven't been officially confirmed. ICS, or Android 4.0, makes a great deal of changes to the mobile OS in terms of UI and features. You can find out more about those changes here. So, without further ado, Verizon users should be seeing updates rolling out to the following handsets soon: HTC Rezound, Motorola Razr, Razr Maxx, Xoom 3G and Xoom 4G. The "pull" dates for those handsets are between May 9 and 23 while the ROMs for the Xoom have yet to be determined. For those of you on the T-Mobile side of things, it looks like the Samsung Galaxy S will be getting ICS after May 14 while the HTC Amaze 4G and Sensation 4G will be receiving their upgrades after June 16. 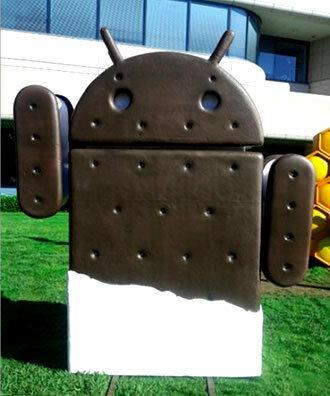 In March, we heard that HTC was planning to roll out Android 4.x to more than 16 of its handsets. As always though, there is a great deal of lag time between manufacturer and carrier Android releases. The original ICS reference build was released in October but we didn't start seeing phones officially bundled with ICS until December. Additionally, Motorola made an announcement in February that it is working on updates to ICS as well. Even if these dates are accurate, they are certainly subject to change. There may be an additional delay between launch and OTA times so it might not hurt to manually check from time to time as well.